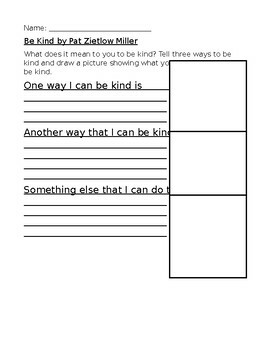 This is an activity sheet for the book Be Kind by Pat Zietlow Miller. Have your students tell three ways that they could be kind to another person. Then they can draw a picture showing them do these kind acts.